by our specialist plastic surgeons for one all-inclusive price. You're in the care of Perth's cosmetic experts. Reputable and experienced. State-of-the-art facilities. Be informed. Feel comfortable. Be confident. Wanting to change or enhance something about your face or body is your choice, and only yours. It can be empowering. Rewarding. Even life changing. That is why choosing the right expert medical team to help you is so important. Assure Cosmetic Centre is led by world-class, Specialist Plastic Surgeons in Perth. We consult and operate from premium facilities. We have a highly trained and experienced support team of cosmetic nurses and dermal therapists. 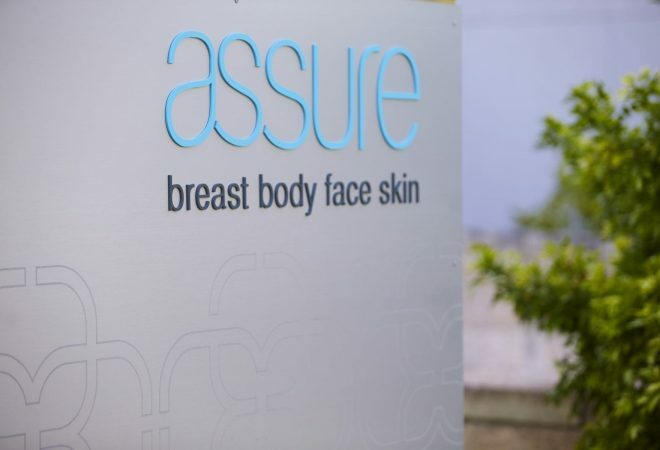 At Assure Cosmetic Centre, you’re in the care of an expert medical team. We provide the latest surgical and non-surgical cosmetic solutions to treat that ‘something’ you are concerned about. From plastic surgery and non-surgical treatments, to prescription skin care products – we are the cosmetic experts. For breast augmentation patients, our Fabulous Breasts package is available for one all-inclusive price of $8,990. Click here for details. Our surgery consultations are friendly and relaxed, giving you confidence to make an informed decision. We also provide consultations for non-surgical treatments free of charge and without obligation. Contact us to book your appointment. 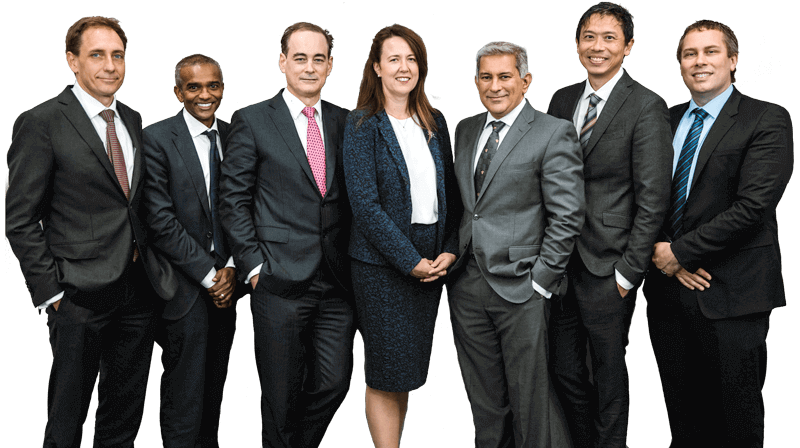 We are a team of experienced Specialist Plastic Surgeons with a focus on delivering the highest quality results with exceptional care. Along with our team of qualified and highly experienced staff, you can trust that all your needs and expectations will be met within a professional and caring environment. We have a state-of-the-art clinic which offers procedures, treatments and products that are medically endorsed and have clinically-proven outcomes. Our consultation process ensures you have the right basis on which to make an informed choice on the procedure that is right for you. At Assure Cosmetic Centre we offer an extensive range of surgical cosmetic procedures. We specialise in Breast Enhancement procedures, Facial Surgery and a variety of Body Contouring options. In the experienced hands of our Specialist Plastic Surgeons, you can be assured every procedure is of the highest quality utilising the latest surgical and safety practices available. Through every step of your journey with us you will feel informed, comfortable and confident that the decision you make will be the best solution for your face and body goals. Assure Cosmetic Centre differs from a beautician or day spa in that our experienced Cosmetic Nurses and Dermal Therapists work alongside a team of Specialist Plastic Surgeons. We provide advanced non-invasive, non-surgical solutions to help address concerns you may have about your face or body. From Anti-Wrinkle Treatments, Dermal Fillers and Chemical Peels to IPL Hair Reduction, we utilise the most advanced and safest techniques to provide all our patients with high quality, long lasting and natural-looking results. See our list of non-surgical treatments here. Pricing for surgical procedures can vary significantly as every patient has different needs. An indicative pricing range is given on each of our surgical procedure pages in the FAQ section. For a full personalised quote, please book a consultation. For breast augmentation patients we have a Fabulous Breasts package available for the all-inclusive price of $8,990. Click here for full terms and conditions. For non-surgical procedures, our initial consultations are free of charge and without obligation. Our treatment price list can be downloaded here. Our seven experienced and highly-trained Specialist Plastic Surgeons are widely recognised in their field for their significant skills and experience. They are fully qualified and accredited, with extensive local and international experience. 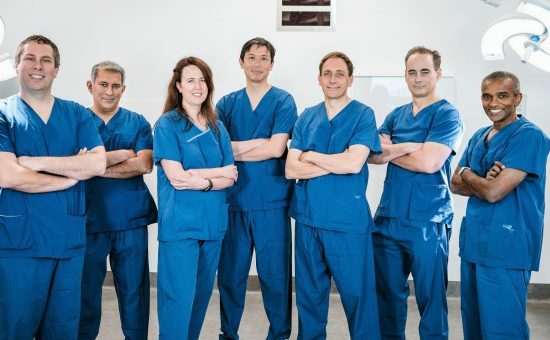 Not only are all our plastic surgeons in full-time practice and are specialist plastic surgery consultants at tertiary hospitals, they are also actively engaged in postgraduate surgical training programs for plastic and reconstructive surgery. At Assure, all our surgeons seek to provide the highest level of professional and personalised care. Working alongside our Specialist Plastic Surgeons is a team of highly trained, professional and experienced Cosmetic Nurses and Dermal Therapists. They are committed to ensuring every aspect of your experience with us is positive, safe and comfortable while providing exceptional, high-quality results. From your first visit and consultation, through to your post-procedure care, our team will ensure all your concerns, needs and expectations are handled with sensitivity and understanding. At Assure Cosmetic Centre, you will always feel informed, comfortable and confident.